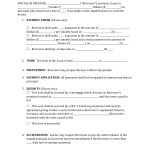 Download United Healthcare Vision Claim Form, also known as Vision Plan Out-of-Network Claim Form. 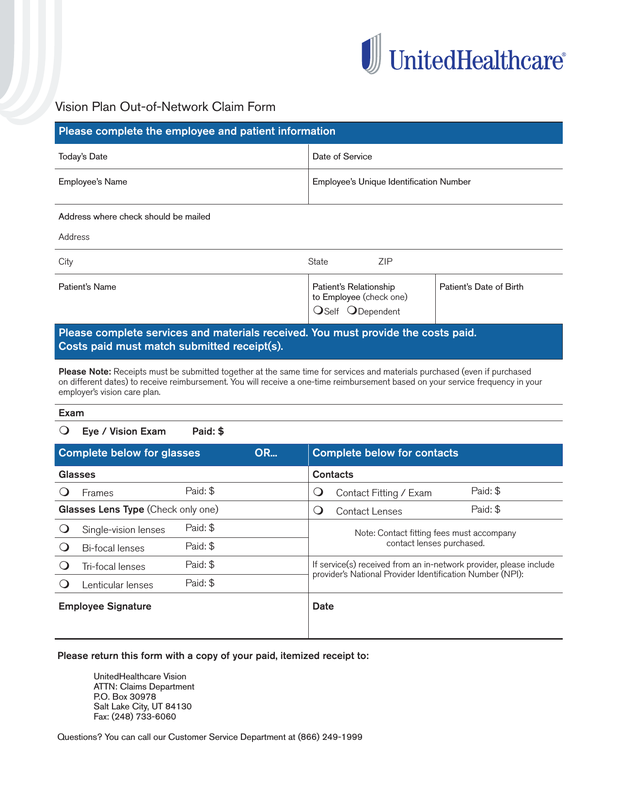 If you are already working with United Healthcare, in Network Vision, you will not need to file a claim inasmuch as your in Network provider will file your claims for you. However, should you decide to use a provider who is out-of-network, although UHC will pay a portion, they will not pay as much as if you were working with in-network providers. Complete this form to claim the portion available to you, after you have been paid out of pocket. 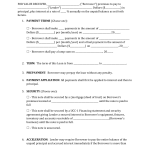 Step 2 – Section 2 – Please complete services and materials received. You must provide the costs paid. Costs paid must match submitted receipt(s). Glasses – See the information available in the “Glasses” block, click inside the circle of what you have purchased and place the price behind “paid” in the same block.